Spamilton is taking over the world! The off-Broadway fan fave is moving from the Triad to the Puerto Rican Traveling Theater on 47th Street—just one block away from where its inspiration, Hamilton, is playing at the Richard Rodgers Theatre. Performances will begin in the new venue beginning on June 2. In addition to off-Broadway, Spamilton is heading to the West Coast. The musical parody will start performances at the Kirk Douglas Theatre in Los Angeles on November 5 and run through December 31. Opening night is scheduled for November 12. Following that run, the production will launch a national tour with additional cities and dates to be announced. It's also currently at Chicago's Royal George Theatre's cabaret theater, where it began on March 9. Casting for the West Coast production and the national tour will be announced at a later date. 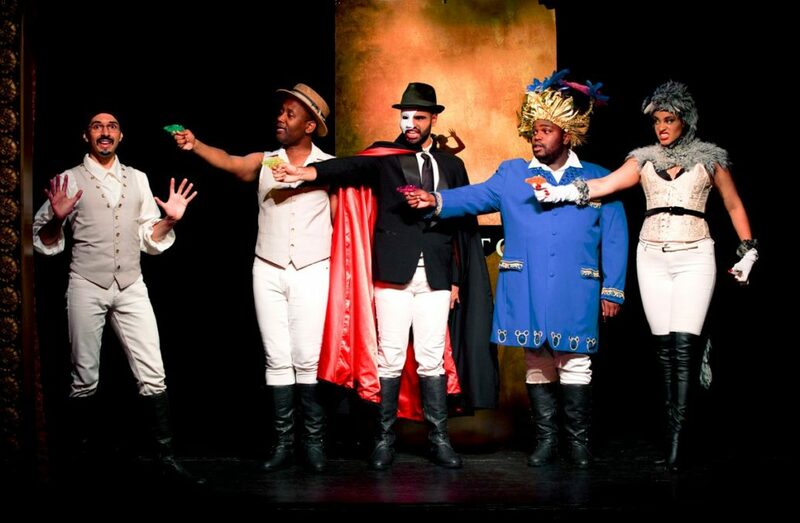 The off-Broadway cast currently stars Dan Rosales, Juwan Crawley, Chris Anthony Giles, Nicholas Edwards and Nora Schell. The Chicago cast includes Donterrio Johnson, Michelle Lauto, Eric Andrew Lewis, Yando Lopez and David Robbins. Spamilton celebrates, roasts and eviscerates the Broadway blockbuster. Special surprise guest stars including Christine Pedi, Brent Barrett and additional divas pop in weekly to add to the fun. And yes—Lin-Manuel Miranda has seen it.